The first thing to do is to make sure you have ShogiGUI running with an engine. In an article of Mr. Takahashi it is described how to do this. 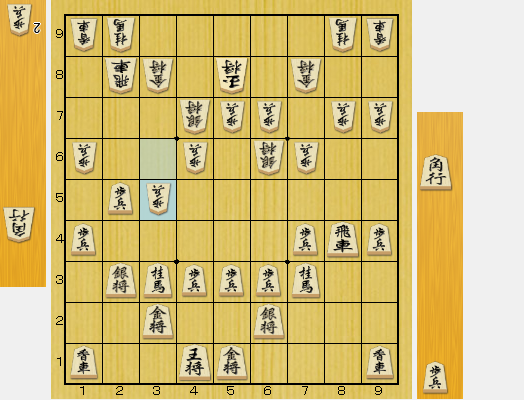 Of course you can start moving around from the initial beginning and analyze shogi like this, but you might want to load a game in to analyze this with the engine. This can be done in a couple of ways, also depending on where you get it from. 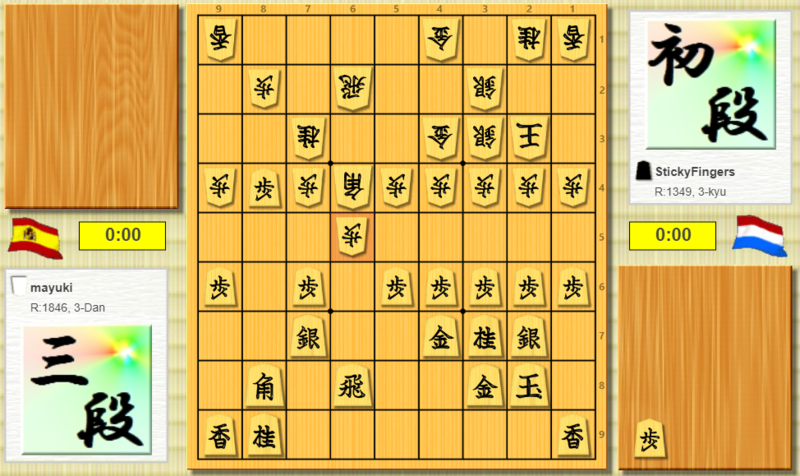 In 81Dojo there is a Kifu menu where you can save it as KIF or copy it to the clipboard. Then you can respectively load it in ShogiGUI using File-Open or paste it with Ctrl+V or Edit-Paste Notation. 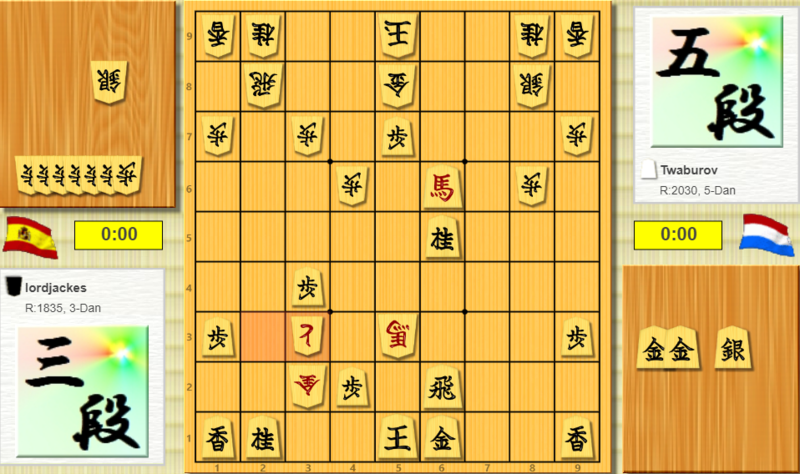 In case you played your game on ShogiWars, you can load the game using the app PiyoShogi on your mobile. Then you can copy to KIF, which you can then e.g. email to yourself, open on your computer and paste in ShogiGUI. 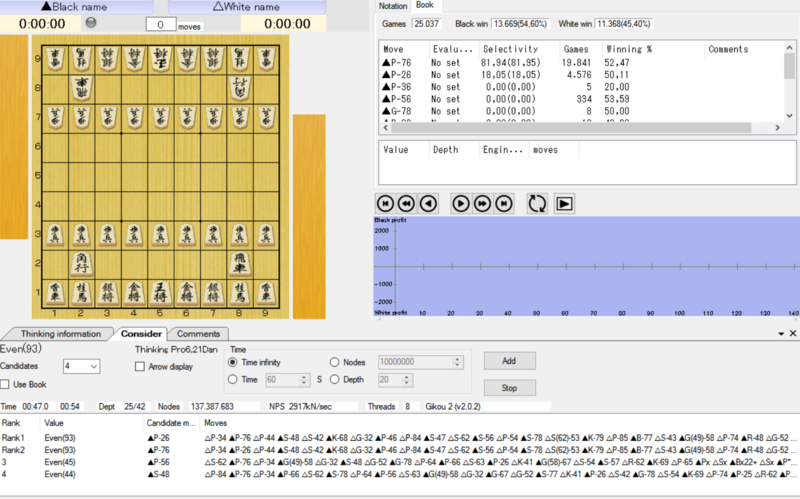 So there a lot of numbers, moves and variations, but how to interpret those? Let’s focus on the book first. If the position is still in book, under book the moves are listed which were played before. 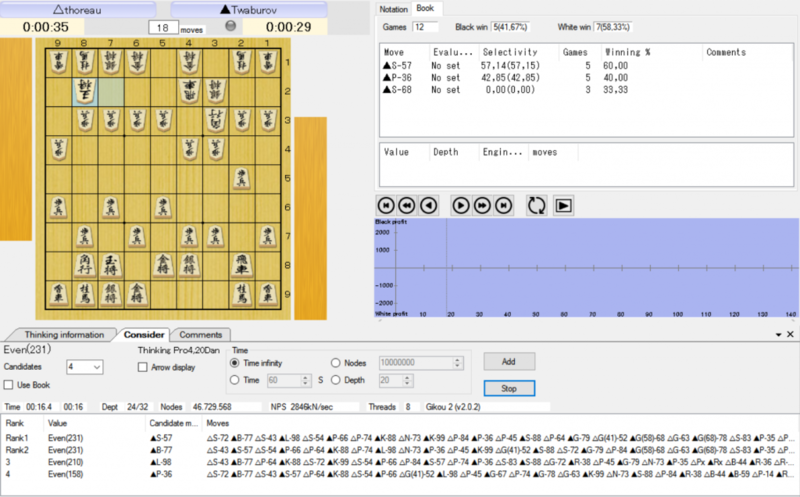 Under Games you can see how often it was played, and under Winning% how succesfull this move was, from the perspective of which colour plays this move. So e.g. the move S57 scored 3 out of 5 wins. The move I played was P86, so here I diverged from the book moves. The score is always for Sente, so (231) means that Sente is a bit better. From the variations it seems, that instead of P86, which signals a Tower Mino, the engine prefers to make an Anaguma with moves like B77, K88, L98, K99, S88, G68, G78, G79. 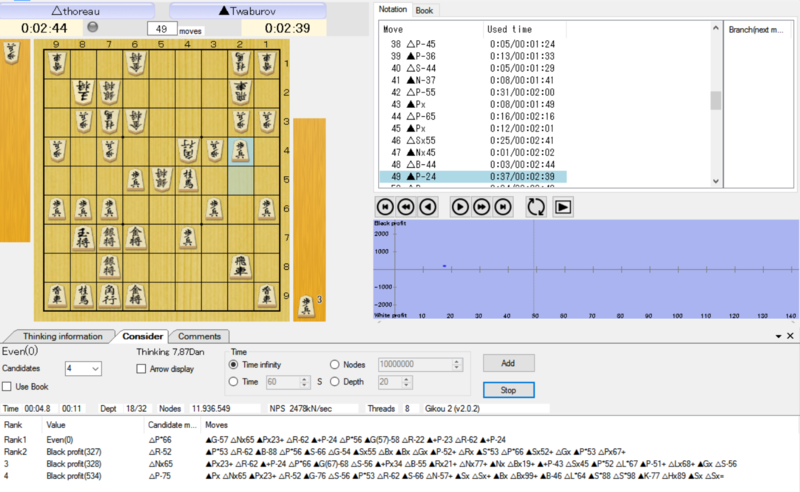 Here the engine recommends playing G41-52 for Gote, with an evaluation of (51). It means that Sente is still a bit better according the engine. An evaluation difference of 180 points is actually not that big, and this case it can be explained by a certain preferene of the engine from one castle over the other. Let’s look at a more critical example. In this position the confrontations have begun. 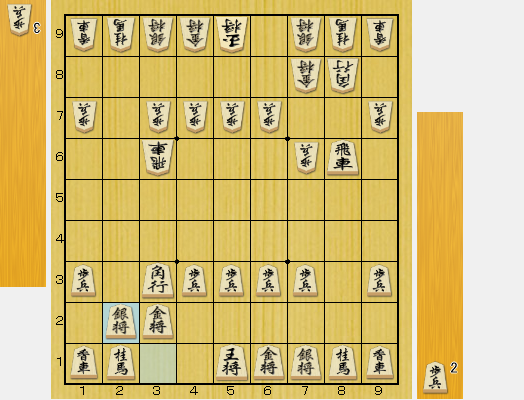 I have a Tower Mino with 4 generals, and initiated the battle with Knight and Bishop. Gote has a nice High Mino and countered in the centre. I can catch the Silver here with P*56, but saw that my opponent could create counter play with P*66 G57 Nx65 etc., sacrificing the Knight. I thought it would be smart to insert P24 here, so later my Rook could dash forward. The engine however indicates that the evaluation would drop from (969) to (0), compared to the highest recommendation, which is the direct P*56. A difference of about 1000 points can be considered a mistake. 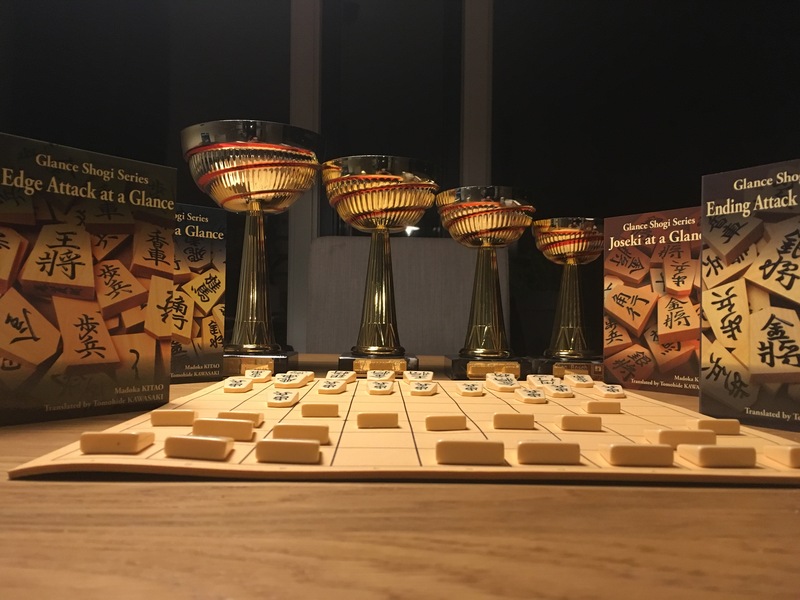 “Why was my move not as good as the best move”? 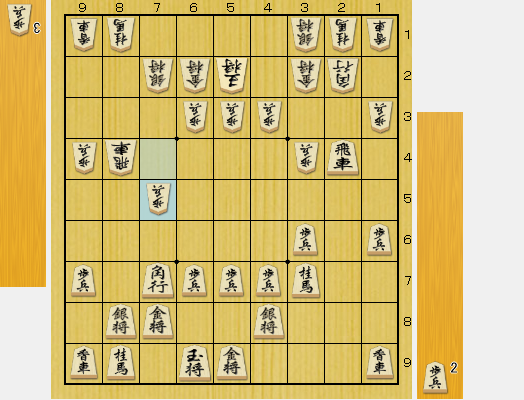 Looking at the suggestions for Gote, we don’t see Px24 in the first 4 moves. In fact, the 4 moves suggested all ignore the Px23+ threat and shift focus in the centre. As it turns out, P24 was played too late! When analyzing these lines, it indeed turns out that Gote has a nice control in the centre, and that Px23 will not be that severe. This reminds me of Hidetch’s words in the Glance Series: Play P24 before it’s too late. Too late means that it can be ignored and Ranging Rook side uses the time instead to counterattack in the centre. 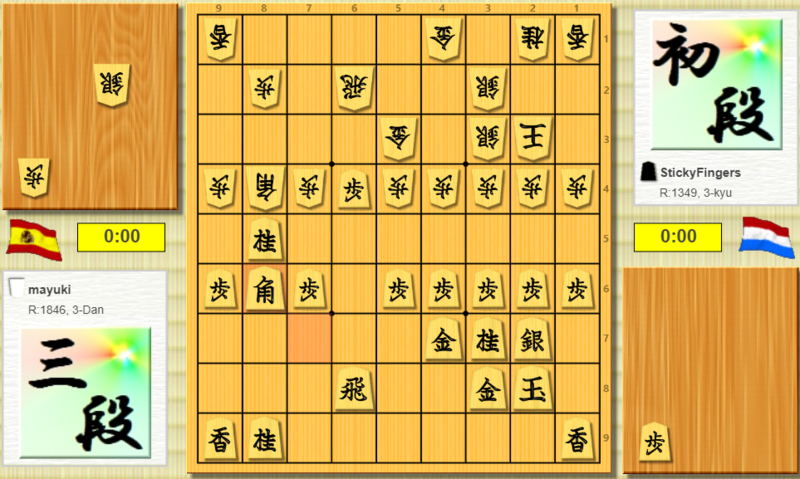 It also reminds me of Aono’s chapter in Better moves for Better Shogi: “Eradicating Reflex moves”. Sometimes a move looks forced, but it is important to always think if it is really forced and whether there is a better move. You can of course boost your progress even more when studying such books in parallel to analyzing your own games! 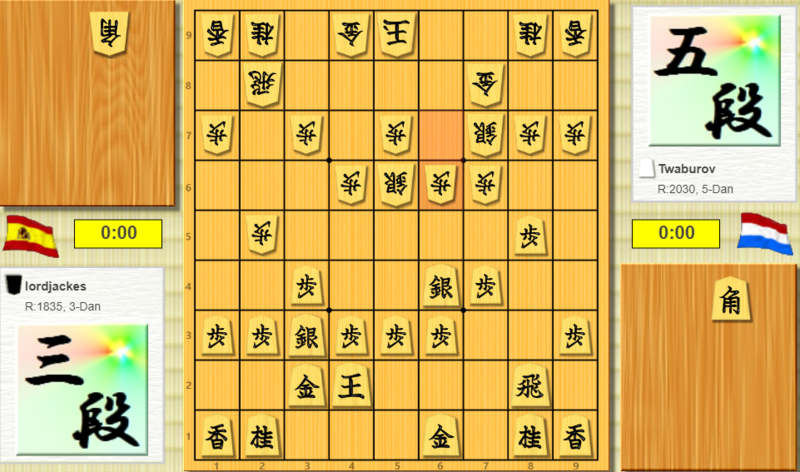 For the full game see this 81dojo-link. -Save your analysis for future reference. -If you notice the engine plays in a certain way in the opening, try it out in a real game! 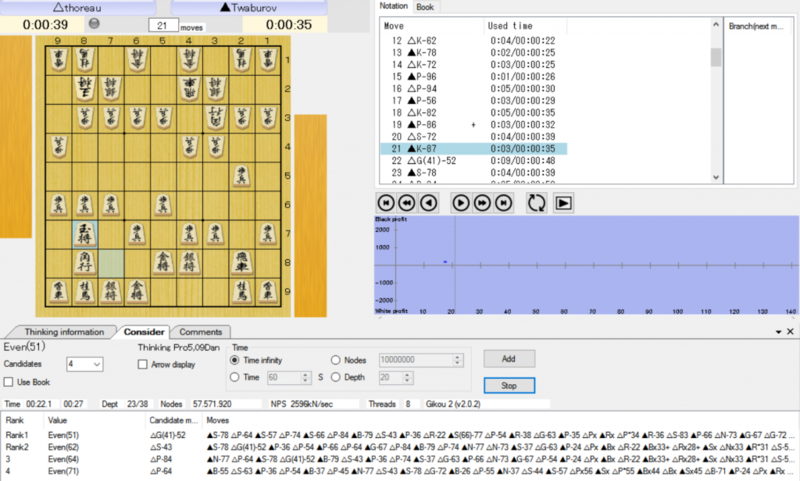 -Try to improve over common joseki by using engine’s recommendations. Try to understand the differences by analyzing and playing. -When understanding something, you can add a comment in ShogiGUI. It will help to understand and remember! -Use an external back-up from time to time for the files you create in ShogiGUI. -Don’t get blind by looking at the numbers only, always try to understand why a certain move is good or bad and check the moves yourself before playing them. 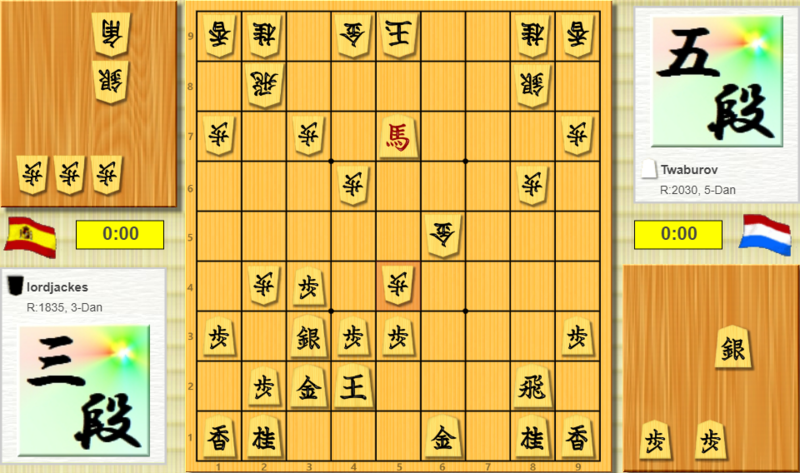 In this article we are looking at one of the main lines in modern shogi, the Side Pawn Picker variation. While they used to say that ‘taking the side pawn gives seven years of problems’, nowadays players know how to best defend against dangerous counterattacks such as Double Side Pawn Picker and B*4e variation. Therefore Gote in above position most frequently doesn’t exchange the Bishops rightaway but plays B33, postponing the fireworks. At some point Gote’s Rook will be attacked and it will then retreat to 85, the Chuza variation. This dynamic move brought this opening completely back to fashion a few years ago. 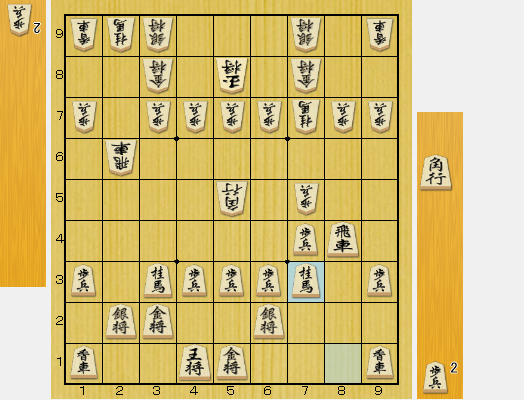 Gote then proceeds with building Nakahara’s King, while Sente’s King typically stays in the centre. After that normally the Knights are joining the game and an exciting battle starts! In this article we will look at tactics and ideas that occur frequently in this type of positions. Note that the position is quite symmetrical, so most of the ideas should be considered by both players in both attack and defence! I frequently encounter a Bishop exchange followed by N77. This loses a move and the knight on 77 can become a target. This position is a clear example where I can directly attack the Knight’s head with P75. If Sente takes it with Px75, then after Px76 Rx76 B*54 and P*76 on the next move again Gote can insist on winning the knight. Something similar will happen if Sente leaves it as it is: Px76 Rx76 B*54 etc. With the Knight on 77, the Pawn sacrifice P75 can also be good without directly winning material. Also in this game my opponent exchanged the bishop and pushed back my Rook. Now he dropped the bishop to further harass my Rook. P75 is a very strong pawn sacrifice here. I played Rx75 Px75 P*76 after which I gained a material advantage, and by attacking with my Knights I could soon seize the initiative. When after the Bishop Exchange Sente carefully builds his position, he could try to harass Gote’s Knight on the other site. 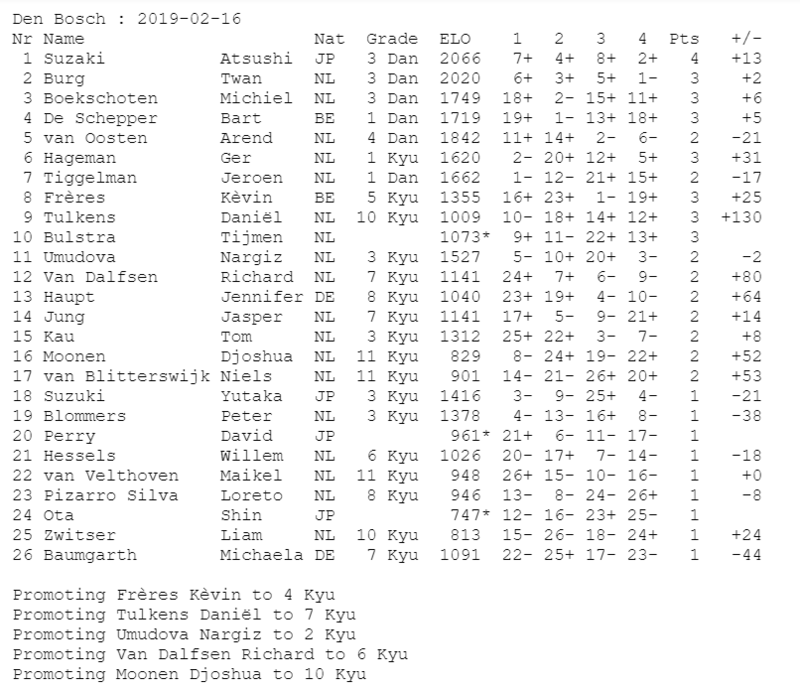 My opponent played very well so far and now has the serious threat P*24 Sx24 P*34. This shows it is difficult to defend the Knight’s head! I was forced to open the 4th rank with the P75 sacrifice and to play actively for counterplay after that. As Gote’s 3rd file pawn was eaten by the Side Pawn Picker, it can be dropped on 31. This can be useful when Sente manages to break through on the 2nd file. In this position my opponent decided to sacrifice his Bishop to promote the Rook and take my Lance. However, after Bx33 Sx33 R21+ I can drop a bottom Pawn with P*31. After Rx11 Px75 I also went on to win the Knight. Note that in this opening a Bishop is a very powerful piece, as it can simultaneously control all the 4 corners! 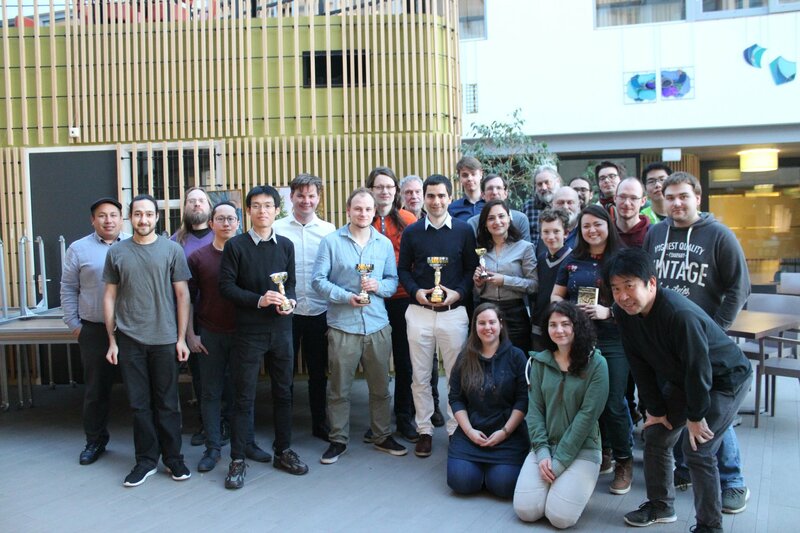 A lot of forks are possible. 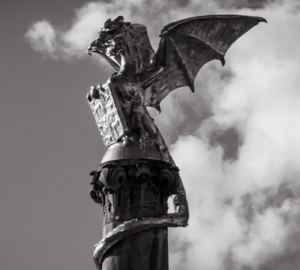 Therefore the Bishop sacrifice was not a success. Bishops are very powerful in this type of positions and in both sides they can help both in the attack and in the defense. Sometims they can support an edge attack. In above position my opponent just dropped his Bishop, and possible ideas are P95 Px95 P*92 or P15 Px15 P*12. This is however a bit slow, and P74 with the idea of P75 would have been strong again here. However, I went for a similar plan with P54. I wanted to drop the Bishop on 53 which would have influence on both sides as well. After P66 P95 Px95 P*97 my opponent could not take because of the Rook-Lance fork B*53. 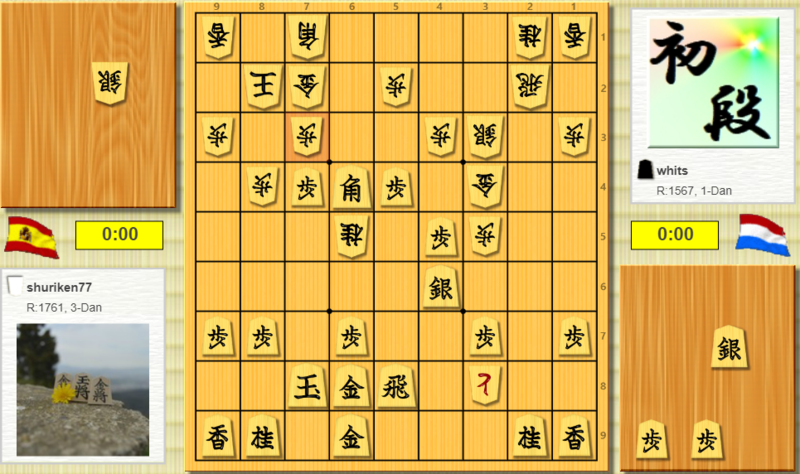 After that I could easily break through on the 9th file and win the game. 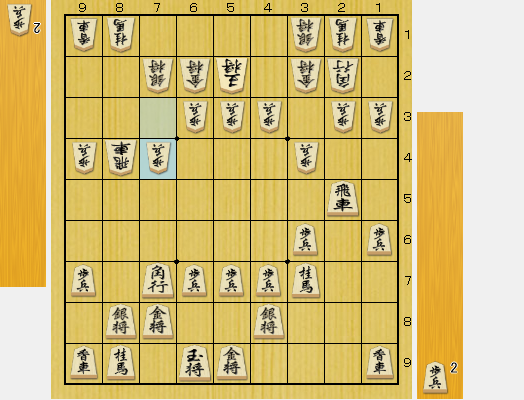 When Sente plays P*87 and the Rook goes back, there is an option to play P*86 at the right moment and reinitiate the battle on the 8th file. 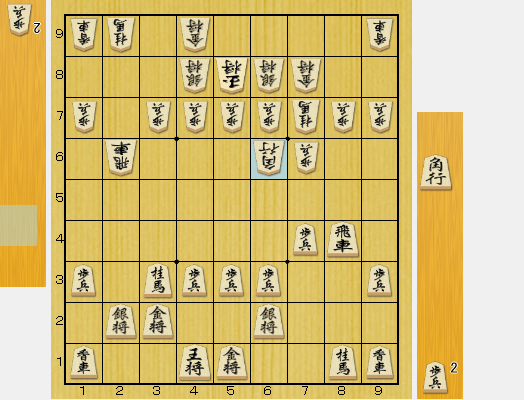 This can be especially effective when the side Pawn is unguarded, so P*86 Px86 Rx86 P*87 Rx76 could be possible. 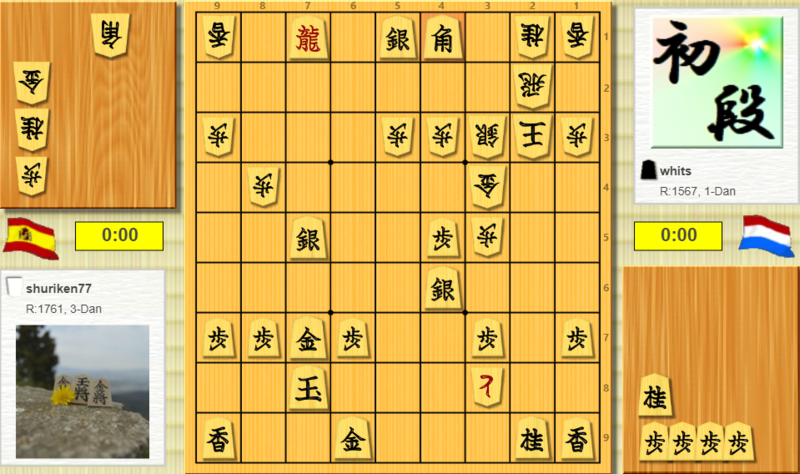 It reduces the impact of the Rook on this file and the opponent will have a hard time breaking through. 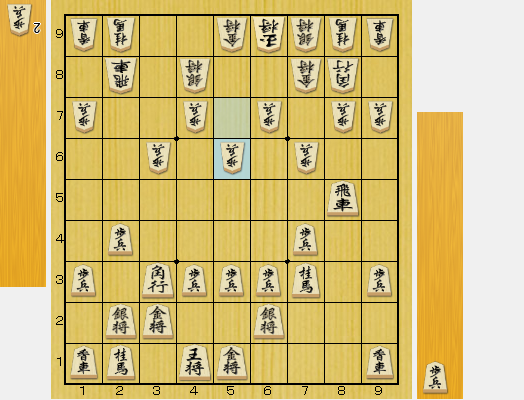 When attacking the opponent’s Rook, it has to choose whether it moves sideways or backwards, in either case it loses influence. It can be used as a foothold for attack. For example, with a pawn on 86 in above position, I could consider bumping the rooks with R85. And with a pawn on 85, later I could drop a Knight on 84. In this position I brought my Rook back to 25. Note that the move P*24 is then not really a threat. There are some effective ways to deal with it, for example Bx77 Nx77 N33 R88 P*22. But anyway the Rook is active on the 5th rank and has a nice influence on the second file. After R25, Gote cannot play P76 because of BxB SxB B*66, so my opponent played the interesting pawn sacrifice P35. However, after Bx22+ Sx22 Rx35 the Gold is hanging on 32. I then took the pawn on 75 and fulfilled my claim of winning 2 pawns. As I explained above, another way of using a pawn on the 2nd file is to offer a Rook exchange. After exchanging Rooks the game becomes typically wild very soon, so it is important to calculate it. 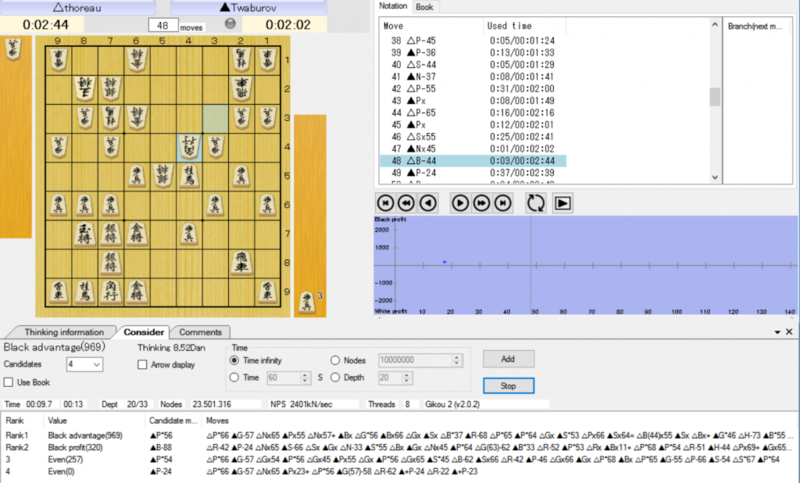 Psychologically it might be difficult choice for the opponent, who might want a calmer game, and who might be worried about your calculations. R25 Rx25 Px25 R*81 R*28 N37 P26 N45 BxB+ SxB P27+ B*46 R29 Nx53+. So it seems that Sente would still be quicker. 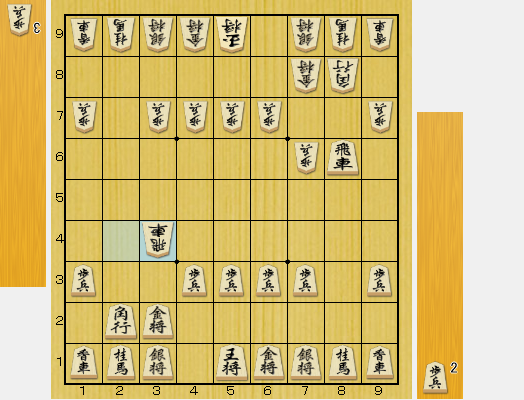 However, my opponent didn’t trust the complications and blocked with P*26. So I achieved my goal and made his Rook passive. After P*26 R85 S68 I now decided that it was a good moment for P*86. I then collected the side Pawn and won due the unfortunate position of his Rook. Successive pawn drops by Sente to force the Silver to a worse square: P*23 Sx23 P*24 S12. This Pawn can then be used as a foothold for the attack.